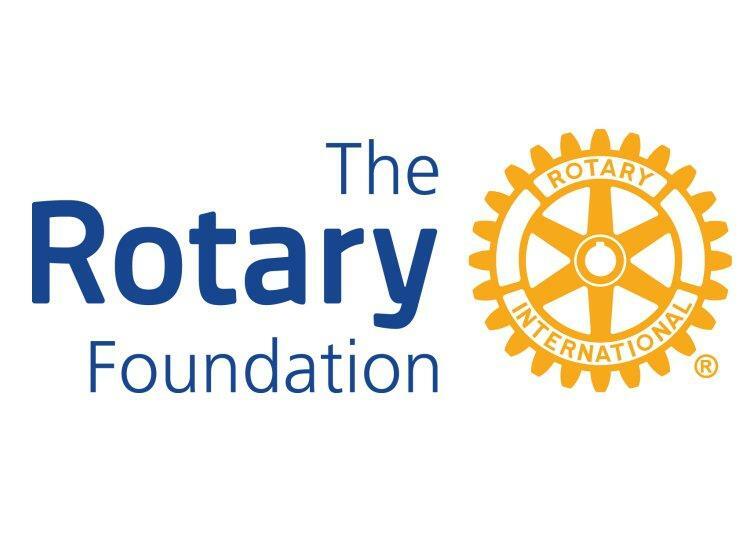 is to enable Rotarians to advance world understanding, goodwill and peace through the improvement of health, the support of education and the alleviation of poverty. Or to put it more simply, to do good in the world. As Rotarians, what can we do to help our Rotary Foundation? 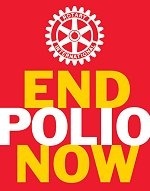 By contributing towards the final eradication of polio. The Bill and Melinda Gates Foundation offers each and every club an incentive to make donations to put the final nail into the polio coffin and fulfil our promise to the children and the mothers of the world. If each club pledges to donate £600 over the next two years we will meet the Gates Challenge and help raise over half a billion dollars!. Your club has donated how much? By getting involved in the Foundation's programmes in order to alleviate poverty, improve health and support education. 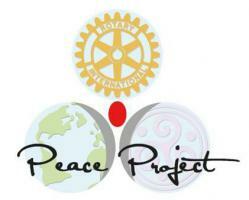 Actively seek and obtain Humanitarian Grants; seek out those remarkable people in our communities who believe in our dream of a peaceful world and find our first District 1020 Rotary WorldPeace Fellow. By contributing to our Foundation, Every Rotarian Every Year - $100 or £67; about £6 per month, by direct debit. This is the best way to show you care and show your love for our fellow human beings. For a few pence each week, we can make a huge difference in the world. We can provide clean water, feed the hungry and provide books and medicine for those in need. If you love Rotary, it is obvious and natural to love its Foundation and more importantly love the work we do. To take the next step sign up to become a Sustaining Member of The Rotary Foundation . Rotarians should already be aware of the reduction in donations to The Rotary Foundation, which has a significant knock-on effect on grants we receive back. Click here for more detailed information on how this affects our District. Paul Harris Fellow - Use this form if you are making and application for a Paul Harris Fellow. 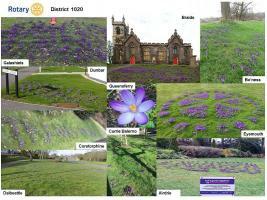 Clubs across District 1020 plant crocuses as part of the Purple4Polio campaign. 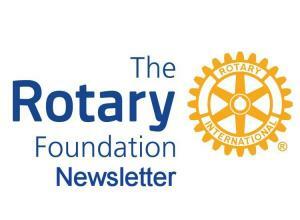 Monthly updates and news about The Rotary Foundation and how Rotarians in our District can help and be helped in their projects by Foundation.